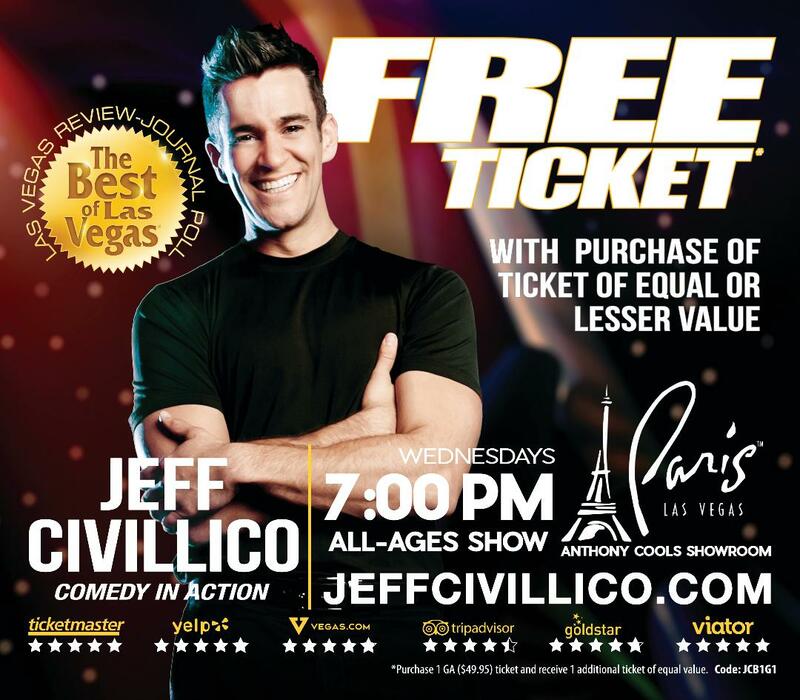 Jeff Civillico is an entertainment dynamo with a clean comedy show that blends physical humor, stunts, and juggling with friendly audience interaction and incredible amounts of energy. Although Jeff is a world champion juggler, it’s his zany personality and youthful spirit that creates this unforgettable entertainment experience that is great for all ages. A staple of Disney entertainment for years, Jeff gained notoriety in Las Vegas from his regular guest appearances in Nathan Burton Comedy Magic. His ability to “work the room” was so impressive that within 1 year he had received his own headline show. Jeff’s show is perfect for anyone looking to take a break from the heat with some laughs. You just relax … Jeff has enough energy to give you that second wind! All ages welcome! This is a family-friendly show!